To curb global marine and air pollution, stricter limits on the sulphur dioxide content of marine exhaust gases stipulated by the EU and IMO (International Maritime Organization of the UN) will apply from 2020. From an engineering point of view, this can be achieved by using natural gas or fuels with a low sulphur content, and by cleaning the exhaust gases with a scrubber. For on-board exhaust gas cleaning systems KSB ITUR Spain S.A., a KSB Group company of located in Zarautz, Spain has further developed its ILN type series of vertical in-line centrifugal pumps with closed impeller and mechanical seal. With their redesigned hydraulic system, the pumps meet the extremely tough requirements specified by the authorities regarding operating behavior and efficiency. Up to the size 250 the back pull-out design allows the impeller to be dismantled without removing the piping and motor. This is of great importance given the restricted space on board vessels. A self-venting wide mechanical seal chamber ensures durable sealing at the shaft passage. Replaceable casing wear rings in the pump casing and casing cover facilitate servicing if necessary. The water-tight rolling element bearings require neither re-lubrication nor maintenance. The casing materials are aluminium bronze and super duplex steels. 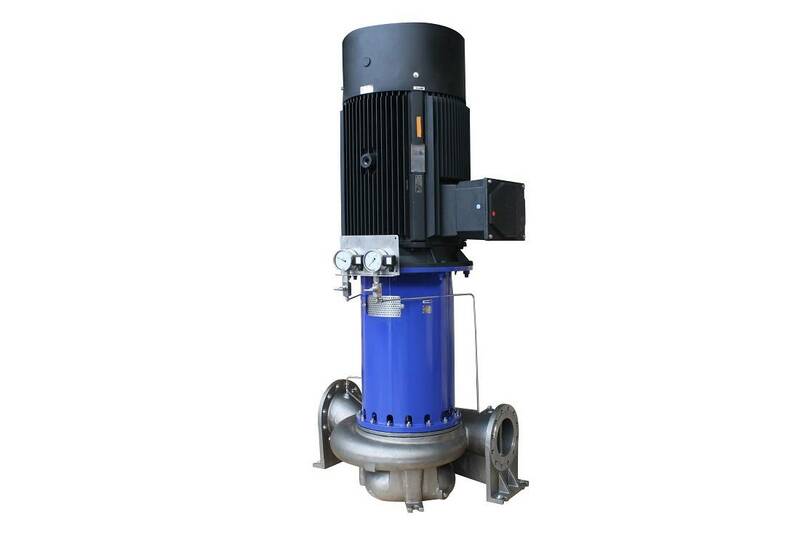 The maximum flow rate of the (60 Hz) pump sets is 3,700 m³/h, and the maximum head is 160m. According to an estimate by the EGCSA (Exhaust Gas Cleaning Systems Association) only 1,000 vessels at sea are currently fitted with a scrubber or prepared for such an installation. This means about another 70,000 vessels worldwide will have to undertake measures ensuring compliance with the new exhaust gas standards by the start of 2020.